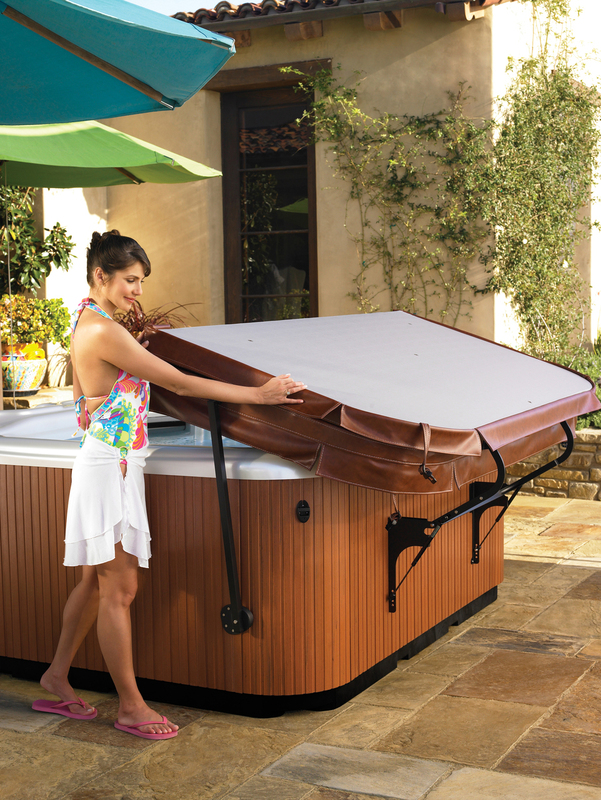 We carry Hot Tub covers for all the spas we sell and have sold over the years. We custom order your cover for all major brands including Hot Spring, Tiger River, Caldera, Jacuzzi, Sundance, Dimension One or any other major brand. Not sure of the make or model of your hot tub? Just complete our on-line cover order form and we will call you with the price and delivery time. Our covers meet or exceed the ASTM standards for hot tub covers. If you’re not sure if it’s time to replace your cover, take this Spa Cover Test (pdf). If the spa cover checkup indicates that you need a new replacement cover, just complete the form below. The thickness of MOST Of our covers taper 3 1/2" to 2 1/2"
The standard skirt length is 2" for most models. If you are unsure of the spa brand, model or year, choose the shape above that applies and also type the dimensions below, using OUTSIDE spa lip dimensions. Be sure to note hinge directions and radius (if applicable). By selecting 'I Agree", customer is agreeing to the above responsibility.